great facility, quiet and comfortable, while close enough to everything there is to do in Las Vegas! The hotel decor is the most beautiful from all the hotels I visited in Las Vegas. 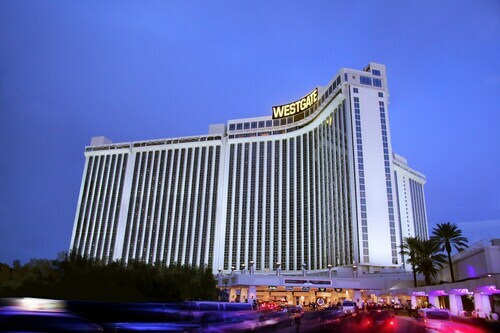 We have been to Las Vegas several times and would definitely stay at West gate again. we arrived at midnight and was delayed returning from our trip to the canyons.would stay again if we visit Las Vegas. good clean rooms. check in was about a 40 minute wait. very understaffed. I like that its pretty well kept up. Clean room and bathrooms, staff was friendly and theres a show for kids. Buffet food was awful and not kid friendly. I like that theres restaurants in the hotel, made it convenient. 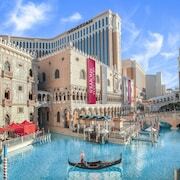 Planning a visit to Las Vegas? There's a number of accommodation options to choose from. You will find 173 places to base yourself within a 0.1-kilometre (0.06-mile) radius of Las Vegas' downtown on our handy booking pages. 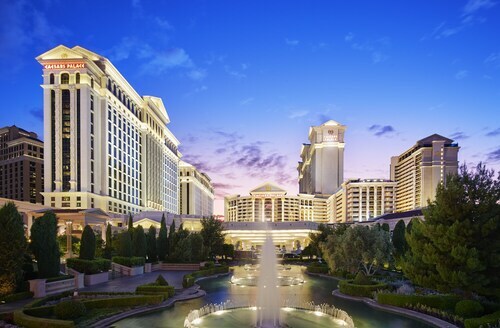 Those searching for accommodations not far from the center of Las Vegas, should check out the latest offers at the Mandarin Oriental, Las Vegas and Nobu Hotel. Paradise is a popular hotel neighborhood. 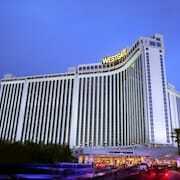 Paradise is 5 kilometres (3 miles) from the heart of Las Vegas and offers 106 of our hotels. 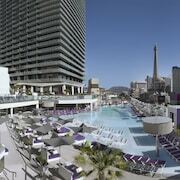 Some choices in Paradise are the The SKYLOFTS at MGM Grand and Four Seasons Hotel Las Vegas. Another popular place to stay is Boulder City. Boulder City is home to the Quality Inn Boulder City and Boulder Dam Hotel. Or, you could try North Las Vegas, where you'll find the SpringHill Suites Las Vegas North Speedway and Hampton Inn Las Vegas North Speedway. Henderson is 20 kilometres (13 miles) from Las Vegas' downtown, while Bracken is 2 kilometres (1 mile) from the main part of Las Vegas. The Hilton Lake Las Vegas Resort and Spa and Aston MonteLago Village Resort are situated in Henderson, while Palms Place Hotel and Spa at the Palms Las Vegas and The Palms Casino Resort are in Bracken. Of course, a trip to Las Vegas wouldn't seem complete without a visit to the University of Nevada-Las Vegas. Many visitors choose to stay near this iconic attraction when they are in Las Vegas. 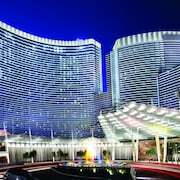 The The Cosmopolitan Of Las Vegas and Encore at Wynn Las Vegas are all close by. For those who are planning to visit the Fashion Show Mall or the Las Vegas Premium Outlets while you are spending time in Las Vegas, book a hotel nearby. The Wynn Las Vegas and the Bellagio are among the hotels that are close to the Fashion Show Mall. 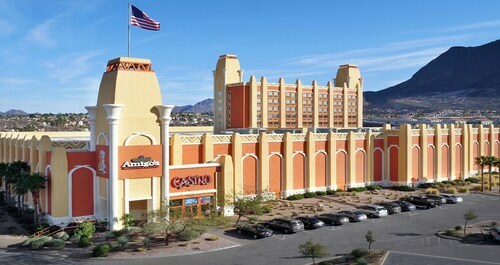 The Hilton Grand Vacations on the Las Vegas Strip and the Hilton Grand Vacations on Paradise (Convention Center) are closer to the Las Vegas Premium Outlets. McCarran International Airport is a convenient airport, and is 4 kilometres (2 miles) away from Las Vegas. 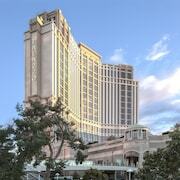 Accommodation options nearby are Marriott's Grand Chateau and The Palazzo Resort Hotel & Casino. Once you’re all checked in to your hotel, it’s time to explore. Put your adventure cap on and see what the city has to offer! From good eats to thrilling excursions, there are tons of things to do in Las Vegas, and you can book them all right here on Expedia. 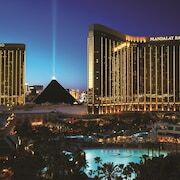 Explore Las Vegas with Expedia.ca’s Travel Guides to find the best flights, cars, holiday packages and more!